Synthetic marijuana side effects have proven to be deadly. 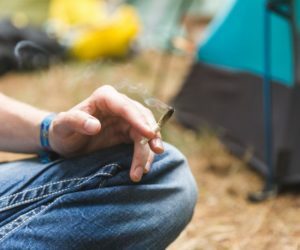 Since spice (synthetic marijuana) has only recently emerged on the drug scene, research to measure how it affects the brain has only just begun. If you have fallen victim to synthetic marijuana, contact the staff at White Sands Treatment Fort Myers at (877) 855-3470. The chemicals identified in this new drug adhere to the same nerve cell receptors as THC. THC is the primary mind-altering ingredient found in marijuana. Spice has proven to attach to these receptors much more strongly than THC. Because of the aforementioned strength of this drug, spice drug effects could be much more erratic and intense than those of marijuana. People use spice by rolling it up (like pot), making tea out of it, or smoking it out of a vape pen. Research has shown that spice may cause heart attacks and even death. It is still unclear what, exactly, is in spice. Manufacturers continue to try different chemicals, as well, to avoid making a substance that is illegal and thus, easier to sell. Something very important to remember is that spice is not a regulated substance and the outcome is different from batch to batch. If you have experimented with spice in the past and emerged unscathed, then you are lucky. You may have been lucky the first time – but who knows what the next batch can do to you. The long-term effects of K2 are not worth your time (in fact, the long-term effects are still unknown). If you or someone you care about is in danger of becoming addicted to K2, connect with a staff member at White Sands Treatment Fort Myers now. In a self-report, one man said he experienced a hangover similar to that from alcohol. He mentioned the “room was spinning” and he experienced dizziness, nausea, and headache. Others have reported attempts at suicide or suicidal thoughts. Deaths have been connected to the use of this drug – and the numbers are rising. K2 is also known to cause seizures and damage to the kidneys. This substance raises blood pressure and may cause reduced supply of blood to the heart. Unfortunately, the long-term effects of K2 are unknown yet because of the drugs’ very recent emergence. The synthetic marijuana side effects are, undoubtedly, deathly. Contact White Sands Treatment Fort Myers for more information on K2. People who engage in the use of spice, are known as “spicers”. Spice is a mixture of shredded plant material and man-made chemicals. Hence the reason the spice dangerous. Who knows what will be mixed in the next time the manufacturer makes a batch.